With a rising population that was just over the 63,000 mark at the time of the 2011 census, Stourbridge is located in the West Midlands in the Metropolitan Borough of Dudley. There are some excellent properties in the area to suit a variety of budgets, and at My Home Move Conveyancing we have been developing our knowledge of local markets since 2002, enabling us to offer our clients in Stourbridge an outstanding specialist, fixed fee conveyancing service. When buying or selling property in Stourbridge, it will be necessary to instruct a lawyer to carry out the legal work on your behalf. 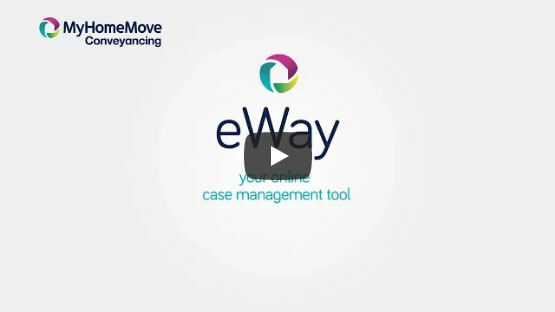 By choosing My Home Move Conveyancing as your Stourbridge conveyancers you’ll gain access to our award winning customer service, innovative use of technology and expertise in the local market. Our conveyancing service is fixed fee with no extra hidden costs, meaning you’ll know exactly what you’re paying from the outset. What’s more, if you don’t end up moving, you don’t pay us a thing. We assign a dedicated conveyancer to all our clients, who will look after your case from start to end, and provide you with regular updates on the progress. At My Home Move Conveyancing we provide our conveyancing services in Stourbridge to homebuyers across the local area, from those looking to be in the town itself to other surrounding spots such as Brierley Hill and Cradley Heath. The average house price in the West Midlands is £125,993, while in Stourbridge over the past 12 months the overall average sale price was considerably higher than this at £197,082. Most sales involved semi-detached properties, which went for an average of £164,771, while detached properties fetched £300,971. Terraces sold for an average of £142,988, and flats for £118,007. Stourbridge has a rich history in glassmaking, and can point to manufacture in the area as far back as the early 1600s. The town is set into the lovely West Midlands countryside but offers good access to more built up places, with Birmingham just over 10 miles to the east. There are regular trains that head to Birmingham Moor Street that take around half an hour, making Stourbridge a great spot for people commuting into the city. The A458 heads east to the M5 motorway, which runs from Birmingham to Cheltenham, Gloucester, Bristol and Exeter in the south, and also links Stourbridge to the national motorway network. There is a pleasing selection of schools in the area for parents with children to take into account, such as Greenfield Primary, Pedmore CE Primary and Hagley Primary on Park Road. Options at secondary level include Haybridge High School and Sixth Form, Redhill School and the Wordsley School Business & Enterprise Music College on Brierley Hill Road. All properties in Stourbridge will fall within one of the following council tax bands.